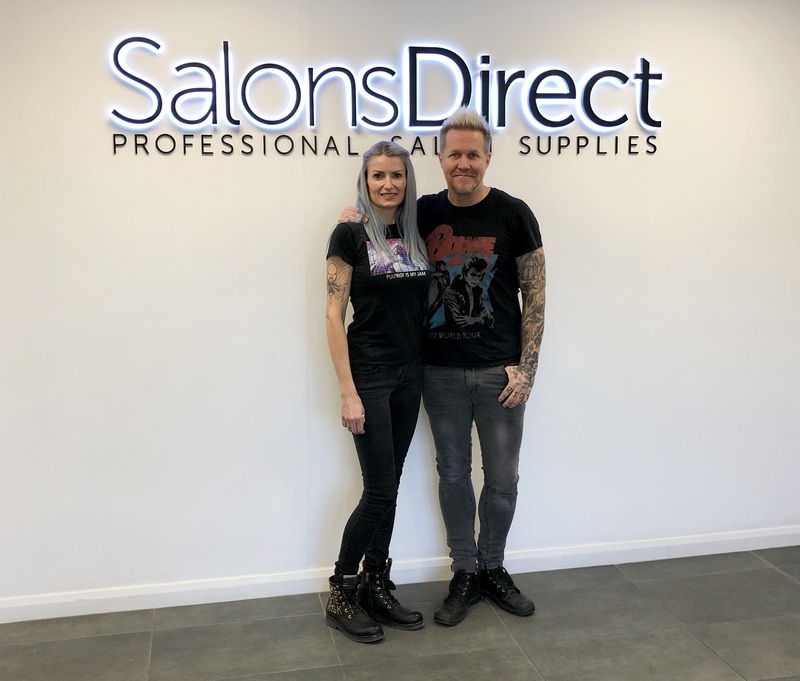 Pulp Riot hair colour launches in the UK at Salons Direct! Pulp Riot burst onto the scene with one goal – to disrupt a stale hairdressing industry by putting the power back into the hands of the independent artist. Founded in 2016 by David and Alexis Thurston, Pulp Riot believed something was missing from the industry – A culture, a movement, an understanding of the digital age. There was a profound lack of understanding from the major hairdressing manufacturers of what hairdressers really needed from their products and brands to power the hairdressing creations and careers of today. Powered by the incredible capacity of Instagram to connect and fueled by a painstaking no-compromise approach to crafting the perfect colour lines by Alexis in their own salon, Butterfly Loft, Pulp Riot was born to give the tools and power to the modern hairdresser. In just two short years since they launched, Pulp Riot has taken the US and now the world by storm. Through Instagram, Pulp Riot is championing artists and as they pave the way in building and connecting with the true industry – a united community – they deliver on their original promise to never compromise and to always put the artist first. Their staggering social reach and incomparable engagement levels are fueled by a hairdresser desperate to rediscover the heart of hairdressing and be part of a brand which from nothing has taken the feet from beneath an entire industry. Inspired by artistry, the design aesthetic of the packaging paints a powerful visual story. The product formulation is developed by artists behind the chair, with the highest level of craftsmanship. Pulp Riot has created the most outstanding colour pallet for today’s techniques with true to tone fade, a blendable consistency and a subtle fragrance which makes the creative process even more beautiful. Pulp Riot believes in a no tolerance approach to nasty ingredients that neither clients nor hairdressers want to work with, making it free from parabens, MEA, gluten and ammonia, cruelty-free and vegan-friendly. Launched with an incredible range of semi-permanents and a priming system of toners, lighteners and a colour remover, in 2018, Pulp Riot changed the game again with the launch of its complete permanent colour system, Faction8, coming to the UK later this year. Driven by the Riot Squad, the Pulp Riot developers, content creators, educators, and all round groupies, who are now over 100 strong of the world’s top hairdressing artists. They spread the message of creative artistry that speaks truth to the brand, authentically inspiring hairstylists across the globe through online, live and streaming education daily as well as Pulp Riot TV, an incredible education and entertainment platform for hair featuring everything from how to get started. to recreating the industry shaking techniques from the world’s top artists – what’s more – it’s all free. Now with the landing of @pulpriot.uk it’s your turn to become part of the Riot. 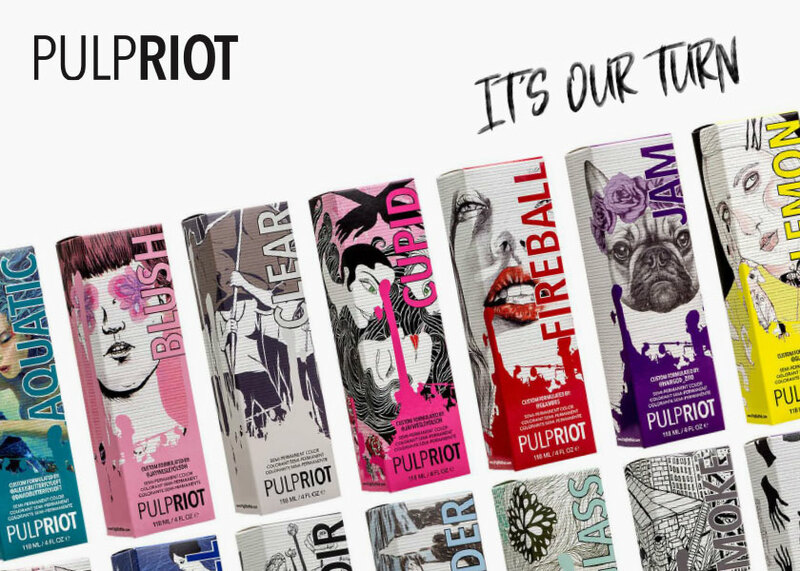 Shop Pulp Riot hair products at Salons Direct! Our Lotus Eastwood Barber Chairs As Seen In Dutton’s Barbershop!